You might not have got lots of money but don’t you want to see your money multiply? Once you’ve got your savings, budgeting and financial obligations under control, you may consider investing your dollars. Majority of the young generation who first get started, feel overwhelming but the fact is that the entire process is not as overwhelming as it seems. If you wish to create a strong financial footing soon after taking a plunge into the investment market, you need to follow the advice and tips of the expert investors. Here are some vital investment tips that you can follow in order to make better investment decisions even as a novice. 1. Start off as soon as possible: Remember that you’re not too young to start keeping aside a small amount of money after following a budget. The money that you can put aside apart from saving can be easily put to investing. The longer you invest your dollars, the more will be the money that you’re going to make. Hence, the sooner you start, say at the age f 24, the longer you can invest and the compounding rates of interest will give you more money in the long run. 2. Speak to an expert and gain knowledge: As you’re an investor now, you have to look for your options. Try and speak to an investment planner about whether or not you need to create a TSFA or a tax-free savings account or invest or whether or not you need to invest in RRSP or a registered retirement savings plan. Make sure you comprehend the differences between such accounts, their benefits and disadvantages so that you can make appropriate decisions. 3. Start off with something that you know: One of the easiest ways in which you can step into the stock market is by purchasing those things which you’re quite familiar with. If you are someone who drinks green tea everyday from Starbucks, you can try buying shares from Starbucks. If you use Apple iPhone, invest in Apple shares as you would know the way they perform as a company. But you got to separate that from serious investing and if you’re in your early 30s, you need to be careful about your investment decisions. 4. Diversify your portfolio: Exchange-traded funds and mutual funds are usually considered to be profitable products for the young generation who don’t have enough assets to create a diversified portfolio. Make sure your money is invested in different financial vehicles so that you can keep earning enough money when some or the other investment is not working for you. 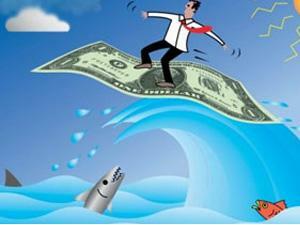 Experts say that one who doesn’t diversify his investment might run the risk of loss. Therefore, it is anytime better to invest your dollars only after taking on the advice of the experts. Eminent people from Banc de Binary are of the opinion that novice investors should invest only that amount of money which they can afford to lose.